Grindr has come under scrutiny in the last several weeks after Chinese company Beijing Kunlun Tech purchased a majority stake in the popular dating app in 2018. 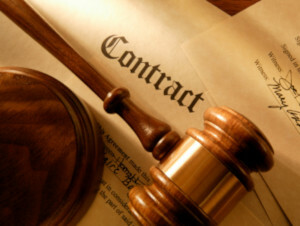 The U.S. government has demanded the new owners give up control of the company. 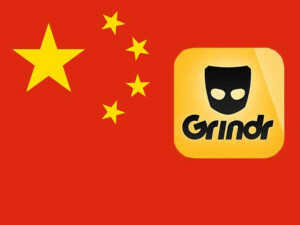 According to The Washington Post, the Committee on Foreign Investment in the United States (CFIUS), a government body charged with overseeing security threats to U.S. companies, has declared that the Grindr purchase is a threat to U.S. national security because of the risk posed to the privacy of users of the app. Tinder Co-Founder Sean Rad is continuing his legal battle with Match Group by asking the court to dismiss the dating giant’s counter-lawsuit against him. Rad, along with other former Tinder employees, filed a lawsuit against Tinder’s parent company last year, claiming that Match Group deliberately devalued their stock options to avoid paying billions of dollars in equity. Part of the evidence he cites is his email correspondence, which has become a sticky point for him and the lawsuit. 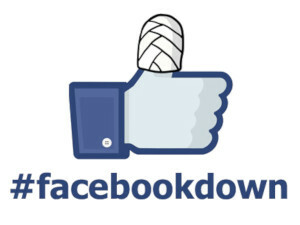 #FacebookDown: What Happened to Cause the Outage? On Wednesday March 13, Facebook and its popular group of apps including Instagram and WhatsApp were unavailable to many users across the globe. While the company struggled to address what was happening, people were turning to other social media outlets like Twitter to express their frustration with the hashtag #FacebookDown. Ironically, Facebook also had to turn to rival Twitter for help in communicating the issues as the problem persisted. Instead of being able to post status updates and selfies, users were getting error messages. Advertisers who spent large amounts of money on promotions via Facebook apps were especially concerned by the length of the outage. Countries affected by the outage included users in the United States, Europe, and Central and South America. Outages in the U.K. were especially widespread. Reports of outages in Asia began several hours later. Tinder has agreed to pay $17 million in a settlement resulting from a class-action lawsuit accusing the popular dating app company of age discrimination. The lawsuit alleged that Tinder charged users who were 30 years old and older more money for the same services, a move that caused the company to come under fire when the pricing structure was first announced. As a result of the settlement, Tinder also agreed to stop charging people different prices based on their ages, but only in California where the lawsuit was filed. Tinder’s premium service offers members additional features separate from the free version of the app, like the chance to “rewind” previously passed-on matches, to match with people in different countries while traveling, and the ability to “Super Like” matches in an effort to get their attention. Tinder was criticized when it charged a $9.99 monthly fee for users under 29 and $19.99 for users 30 and up for access to these premium features. The online dating wars just got uglier. Match Group and its owner, IAC/InterActiveCorp, have filed a lawsuit accusing Tinder co-founder and former CEO Sean Rad of stealing company files and other proprietary information. The lawsuit claims at least $250 million in damages. The last few years have been tumultuous for Rad and Tinder. After Whitney Wolfe Herd, a fellow co-founder of Tinder, filed a sexual harassment lawsuit against the company in 2014, Rad stepped down as CEO. Herd went on to found Bumble. Rad returned as CEO of Tinder six months after vacating the position. He stepped aside as CEO for good to become Tinder's chairman in 2016. In August 2018, a group of current and former Tinder employees, including Rad, filed a lawsuit against IAC. The suit alleges that IAC intentionally undervalued Tinder to reduce the value of stock options held by early employees and founders. “Through deception, bullying, and outright lies, IAC/Match stole billions of dollars from the Tinder employees,” the lawsuit reads. “IAC/Match cooked the books to manufacture a fake lowball valuation of Tinder.” The plaintiffs are seeking at least $2 billion in damages. Tinder and Bumble have spent most of 2018 embroiled in a fierce legal battle over patent infringement, misuse of intellectual property and theft of trade secrets. At the center of the dispute is the swiping mechanism that has become a ubiquitous feature of modern dating. In March, Tinder’s parent company Match Group filed a lawsuit alleging that Bumble “copied Tinder’s world-changing, card-swipe-based, mutual opt-in premise.” Bumble responded with an aggressive countersuit asserting that the swiping interface is not an original notion worthy of patent protection. After attempts to settle privately failed, the dispute headed to court and the first big ruling has been handed out. Judge Alan Albright of the U.S. District Court for the Western District of Texas denied Bumble's claim that the Match Group patents in question are ineligible for patenting under Section 101 of the Patent Act.